An appropriate song for the Los Angeles River might be “Cry Me a River,” given its unfortunate history, but by the end of this month L.A.’s cement channel will be singing a new song. Young musicians between the ages of 6 and 18 can grab a chance at creating that new anthem by entering the Songs of the L.A. River Project competition. Songs must be submitted by April 22. 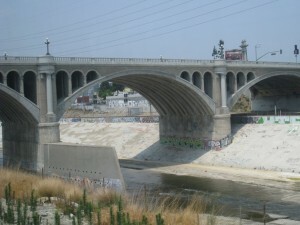 Get more information or enter the Songs of the L.A. River Project competition online here . The top selected artists will perform their songs live with Ozomatli, L.A.’s homegrown band, at the L.A. River Day of Service River Jamz Concert. 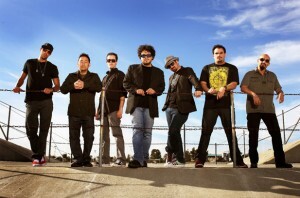 Mayor Antonio R. Villaraigosa and the Friends of the Los Angeles River (FoLAR), will celebrate Ozomatli Day celebrating and recognizing the fifteenth year of the LA based, Grammy-award winning band, Ozomatli. They will implement the Mayor’s “We Serve L.A.” volunteer campaign and the 22nd annual FoLAR Great L.A. River CleanUp / La Gran Limpieza. The event is scheduled for Saturday, April 30th between 9:00 a.m. and noon, and includes a number of organizations and individuals who will assist in the clean up of 20 sites along the 51-mile river. The clean-up efforts will culminate with the concert, which begins at 12:30 p.m. at Rio de Los Angeles State Park, 1900 North San Fernando Road in Glassell Park.